On this small-group tour, you will join an expert local guide in a comfortably-sized group and discover Berlin's sights, history and stories in a comprehensive walking tour of the city. Walking along the grand boulevard of the city, Unter den Linden, you will see sights from Berlin's Prussian and Imperial German past, such as Museum Island, Brandenburg Gate and the Reichstag. See the former cabaret mile of Berlin's sinful 1920s era and discover the locations and events that led to the rise of Hitler and World War II. As you walk through the former Nazi government district, you'll learn about Berlin's dark role as the nerve center of the Nazi empire and see the former SS and Gestapo headquarters, the site of Hitler's bunker, the Memorial to the Murdered Jews of Europe, and more. Entering the streets of the former Jewish quarter, you'll get a glimpse of a once-vibrant part of the city that is slowly regenerating. See the New Synagogue, the former Jewish Girls' School, the galleries of Auguststrasse and more, and hear about the personal stories of the families that once lived there. 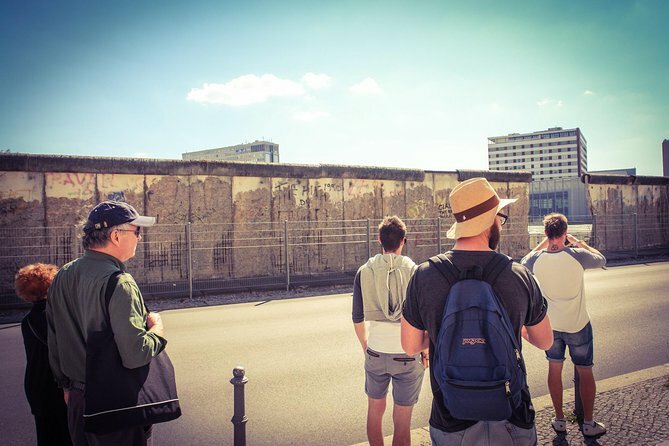 Walking along the Berlin Wall, you will see the locations of former border crossings (such as Checkpoint Charlie) and escape tunnels and hear about spy stories and discuss what life was like in the divided city on the front lines of the Cold War. Reflecting back on Berlin's past, you'll also see the vibrant architecture, public art and thriving cultural scene of the city, and learn of Berlin's rebirth since the Wall has fallen. Joining this tour, you'll see the most of what Berlin has to offer in a comprehensive 6-hour package. Your local guide will also give you plenty of advice, suggestions and facts for things to do for the rest of your stay. The tour includes several breaks for coffee, lunch and snacks along the way. Food and drinks are not included. You'll have a few different options to choose from at each stop, or you can bring your own meals along.